Don’t Be The Bottleneck, Let It Go. If you are a founder and owner of a growing company, you’re too controlling of your business. This statement is not meant to attack anyone. It’s meant to open your eyes. Controlling every aspect of your company is easy when it’s small. You might have a handful of employees and you can check in with them every day to see how they’re doing, correct any mistakes, and have your hand in every pot without issue. But if your company is growing, you’ll quickly run out of hands. Of course, just because your company is a little bigger doesn’t mean that you no longer want to know what’s going on in every aspect of your company, but you just don’t have the time, energy or capacity to be involved to the same degree that you used to be. You need to evolve with your growing business and that means learning to let go. That mindset shift is no easy matter. Delegation is one of the hardest competencies to master for any leader and is especially hard if you’re talking about a company that you’ve built from the ground up. But it is vital to your company’s survival that you master this crucial skill. You have to empower your staff to take control and run the day-to-day operations (Naturally, you need to make sure that your staff is capable of taking on the tasks you delegate, but that’s a different discussion). You will still be involved, but you are now there to help remove obstacles and provide resources and direction, not to do the heavy lifting. If you can’t make this shift you’ll become a bottleneck that will slow your company’s growth to a grinding halt. 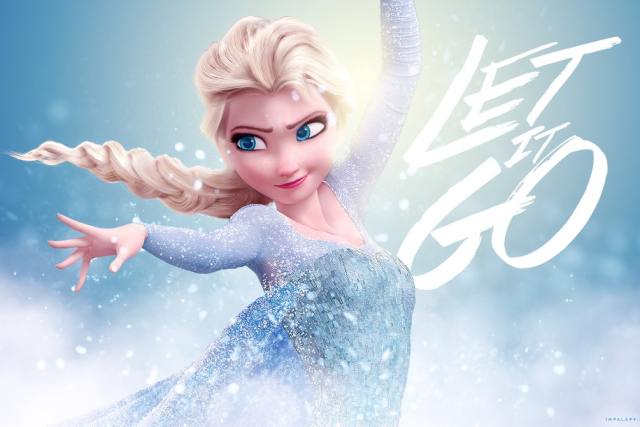 So, for your company’s sake, be like Elsa and let it go, let it go. If you’re interested in learning more ways to be a better CEO, download our eBook “5 Ways to Become a Better CEO This Week“.